“When you get over $30 million, you get to that rarefied air [where] you’ve got to make a $100 million. 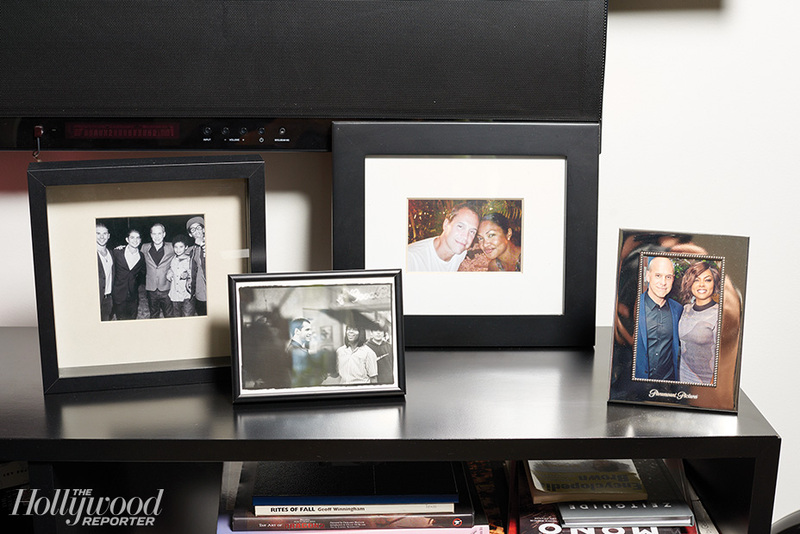 That’s not easy,” says Robbins, photographed in his Paramount Players office on Oct. 12. "Jim Gianopulos lied to me," says Paramount Players founder Brian Robbins from his office on the lot's Redstone building. 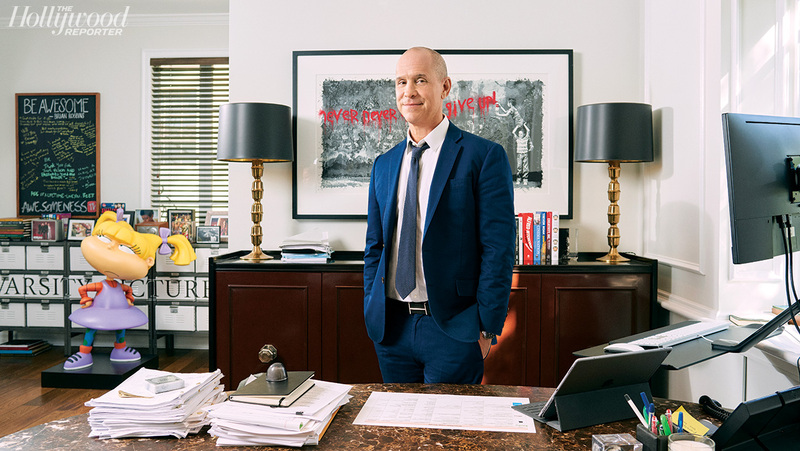 In early 2017, Robbins had left the successful digital company he founded, Awesomeness, after its majority stakeholder DreamWorks Animation was sold to Comcast. He was figuring out next steps when he was asked by Viacom CEO Bob Bakish to sit down with newly instated Paramount Pictures chief Gianopulos to discuss starting a studio label that would develop features with Viacom brands including Nickelodeon, MTV, and BET. Robbins had an important question for Gianopulos, who lived around the corner from him on L.A.'s Westside. "I said, 'Dude, how long does it take you to get to Paramount from Brentwood?' And he said it took 20 to 25. Total lie. It's 45 on a good day." Robbins, 54, took the job (and purchased a house in the studio-adjacent neighborhood of Hancock Park, where he has spent the past year remodeling). In that same year, he has put more than 20 movies into development — everything from a new CG-animated/live-action Rugrats movie to a remake of the racy Indecent Proposal. He has two features currently in production, including a live-action Dora the Explorer, two in post, and one — the Tiffany Haddish-starring Nobody's Fool — set to hit theaters Nov. 2. He finally made the move to Hancock Park at the beginning of October, a week after the announcement that he would be heading to Burbank to head Viacom's struggling kids network, Nickelodeon, where he made his start as a producer and director on shows like All That. Robbins, who began his Hollywood career as an actor on ABC's '80s sitcom Head of the Class, spoke to THR in mid-October about turning his fledgling studio label into a production powerhouse and what was behind his choice to leave. What makes a Paramount Players movie? 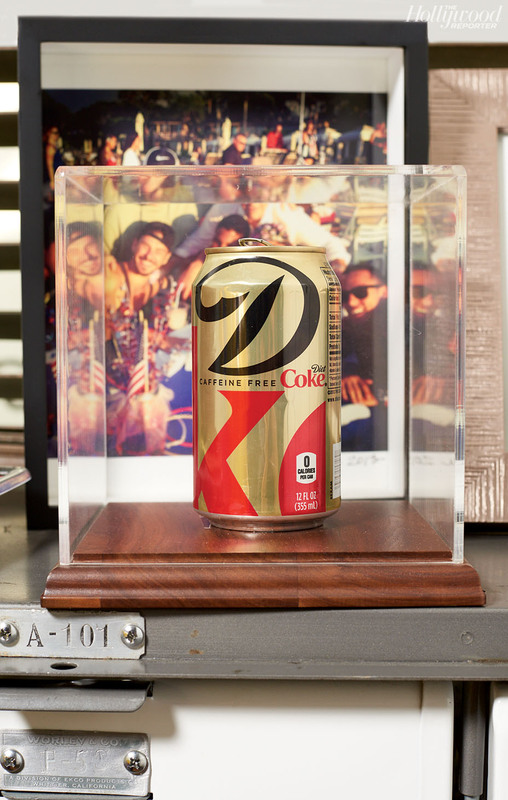 I was trying to be diverse for the brands, so I was targeting the audiences of the brands. I was making a Dora the Explorer movie for Nickelodeon. Nobody's Fool and [director] Tyler [Perry] was for BET. The diversity of the slate comes from something Jim said to me, which I'm stealing now for the rest of my life. He said, "We either have to make movies for everybody or you have to make a movie for somebody." So if that somebody is teen girls, make sure we make the best movie for teen girls; we could go really deep in that quadrant and you get The Fault in Our Stars. If you're going to make an African-American female movie, then you make Girls Trip. You could make more niche audience movies as long as they are broad in the niche. You were in the digital space for so long with Awesomeness. Did you have any worries about coming back into a studio system? Not at all. 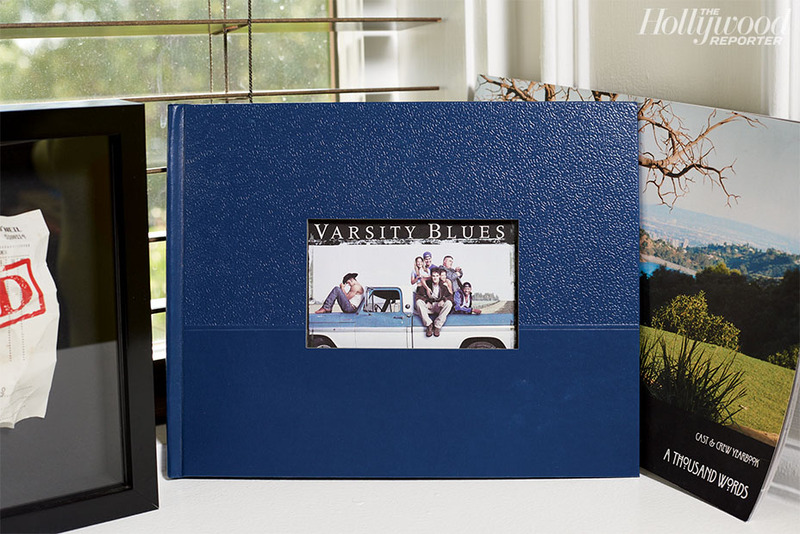 When I started Awesomeness, it was really a side project to my production company. I saw an opportunity to experiment. It wasn't like I woke up one day and said, "Oh, I'm going to build a digital company and it's going to go from no valuation to a billion dollars." No. It wasn't a master plan. It was never going to be my life's work. [Paramount Players] was the first job I've ever had. I've only ever worked for myself. So I looked at this as I did everything else in my career: I wanted to be entrepreneurial, and they set it up so I could be entrepreneurial. Why were you putting films into development at such a frantic pace? We didn't have any movies to begin with. We started a division from scratch but also the studio — Jim started probably two or three months before I did. So the truth of the matter is the cupboards were bare. We really had to just be entrepreneurial. And we also weren't the first stop in town. The reputation wasn't great, so Jim had to rebuild the executive team, and it was up to us to get some movies going. I told my guys, "Let's not develop to develop. Everything we develop, we should be thinking, 'That's a movie we are going to make.' " A lot of people in the movie business just buy stuff defensively, and I think we have only bought stuff that we're passionate about, which is why we got stuff going so fast. Jeffrey Katzenberg drank this can of Diet Coke while he was in the Awesomeness offices, prior to purchasing the company in 2013. Photo credit: Damon Casarez. Did you ever consider acquiring films? Yeah. I don't want to say which movie because I don't want to make anybody feel bad, but there was a movie at Sundance that I [had] read the script for, and I got these guys to approve a big check for me to go buy. It would've been a massive sale. And then when I saw the movie I was like, "Ehhh." I mean, I went [to Sundance] and literally I had the cash in my back pocket to buy the movie. My team actually wanted to buy it. As it turns out, I was very right. It's not like it used to be, there's not a lot of surprises anymore at festivals. Over the past year, have you seen the studio's reputation in the industry change? Oh yeah. Between Wyck [Godfrey, Motion Picture Group president] coming on, and our guys, we are making movies. Jim's appetite is large, and he wants to get to 16, 18 releases a year. We have a ways to go to get there. My hope is that this division keeps kicking. The development slate we have should carry through for a few years. Early in his career, Robbins transitioned from actor to director, helming Varsity Blues and Coach Carter for MTV Films. Photo: Damon Casarez. After building the Paramount Players brand for a year, why did you decide to leave? I hate to say "leave." It's all in the same company and I'm going to hold on to the Nickelodeon part of the movie business. 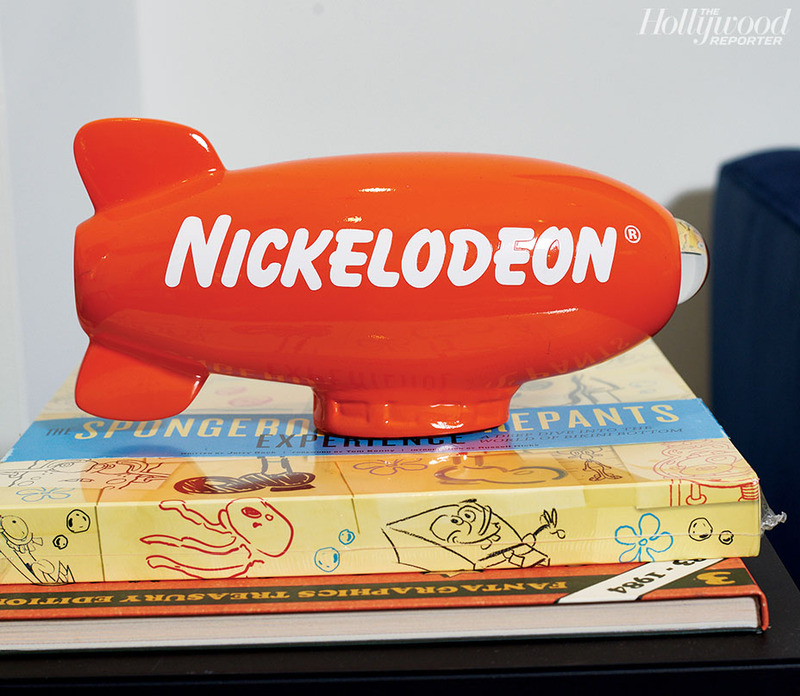 Nickelodeon is a very, very important asset to the company, to Viacom. One of the most important assets. I was struggling with the decision, but ultimately Bob [Bakish] convinced me to do this because of the importance of it. My first TV show that I produced was All That, then Kenan & Kel and The Amanda Show, so I sort of have Nickelodeon in my blood. I really, really want the brand to win and succeed, and so I feel like it's almost weirdly my duty to go do this and try to bring it back and win. What is the biggest obstacle facing kids programming right now? (Slides his phone across the table.) We live in an on-demand world, meaning it's not driven by Tuesday night at 8 o'clock anymore. If I'm a kid and I want to watch SpongeBob, I can get SpongeBob in a lot of different ways. 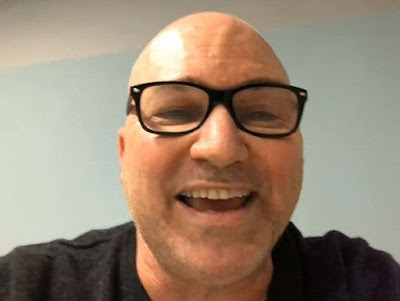 You have a generation of kids who are the first generation to grow up with iPhones and connected devices and streaming services. You used to come home and it was either Nickelodeon or the Disney Channel and maybe Cartoon Network and that was it. But now there's all these other choices and games and mobile games and console games and Instagram. “I am probably friggin’ 29 or something,” says Robbins of the photo (center) of him on the set of the Good Burger movie with actor Kel Mitchell. Photo: Damon Casarez. 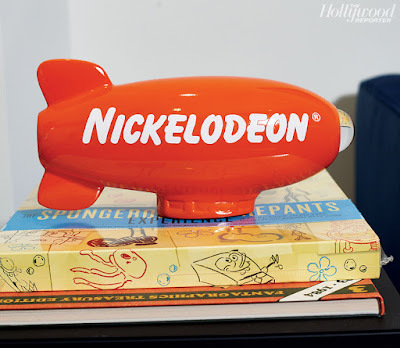 You started your career at Nickelodeon. Are there any projects that you would like to see rebooted? I was actually at Saturday Night Live this weekend in New York with Kenan Thompson, who grew up on All That and Kenan & Kel. It was my first time seeing him on the show and I really wanted to cry. I was so proud. I've known the kid since he's 14 years old. All That ran for 10 years. I would've never, ever, ever canceled the show. It should've been [Nickelodeon's] Saturday Night Live. All That was a very sophisticated show. Young humor, but the level of comedy on that show was sophisticated. You could bring it back now. Don't be surprised. Don't be surprised. Robbins will oversee all of Viacom’s Nickelodeon feature business, which includes an Are You Afraid of the Dark? movie. Photo: Damon Casarez. All That ran for 10 seasons between 1995 and 2005. Other memorable cast members included Amanda Bynes, Nick Cannon, Kel Mitchell, Josh Server, Lori Beth Denberg, Jamie Lynn Spears and even Gabriel Iglesias, who is now a very successful stand-up comedian. 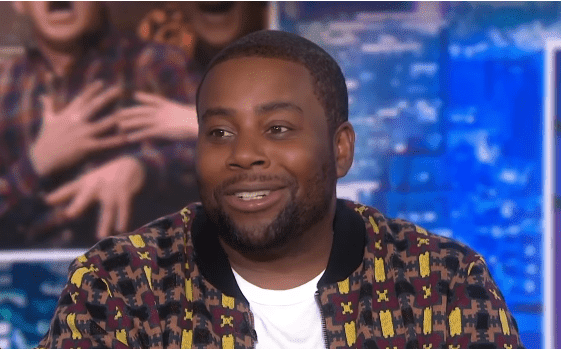 Kids media brand Pocket.watch and Viacom are currently developing Skoogle, a kids sketch comedy show created by and starring Nickelodeon alum Kenan Thompson, for Nickelodeon. Check out Kenan's interview with Ebony, in which he also talks about The Grinch, portraying Bill Cosby on All That and SNL, Christmas, and Pharrell Williams sending a cease and desist letter to Donald Trump, in full here on ebony.com! YES, BRING IT BACK & KEEP IT THERE!!! Kevin Kopelow -- who used to play the stage manager on Nickelodeon's 'SNL' for kids -- tells us he was thrilled when he heard Brian Robbins tell THR he wanted to bring it back. Brian said it should never have gone off the air ... and Kevin agrees. Aside from the fact there'd never been anything like it on TV -- and there hasn't been since 2005 when it got canceled -- Kevin says the show was a perfect farm system for breeding stars like Nick Cannon, Kenan Thompson, Amanda Bynes and others. As far as what might change if Nickelodeon actually pulls the trigger on the reboot ... Kevin tells us he thinks keeping the format simple would probably be best, just like 'SNL' has for all these years. Kevin says he hasn't gotten word from anyone at Nickelodeon to reprise his role, but based on what he's telling us here ... it doesn't sound like he's saying no. Kevin Kopelow is currently executive producing a brand-new Nickelodeon show titled Cousins For Life. Originally published: Thursday, November 01, 2018.